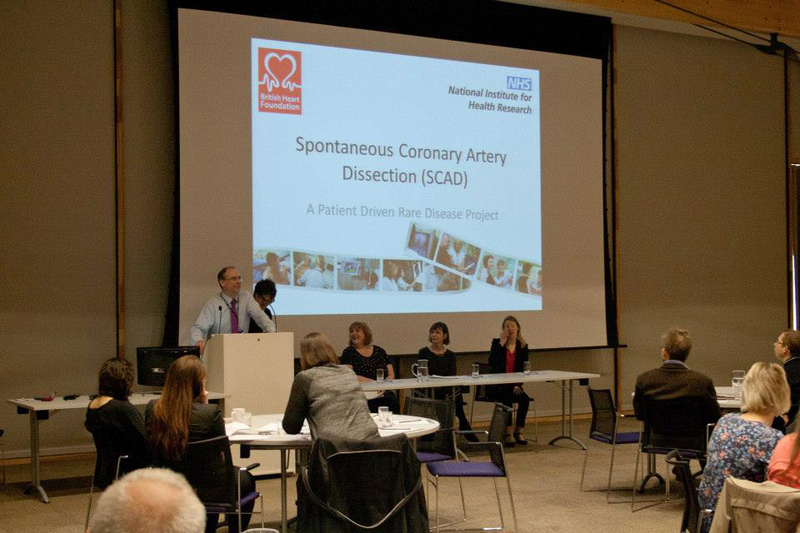 SCAD patients gave a presentation in March 2014 at a public open day organised by the Leicester Cardiovascular Biomedical Research Unit (LCBRU) that is researching the condition. 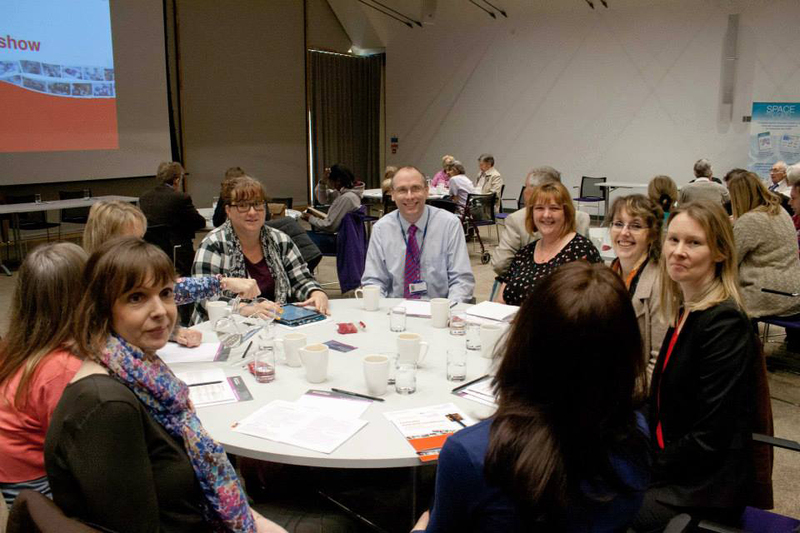 The SCAD group were asked to take part in the day to highlight the importance of patient-driven research, a point Dr Adlam highlighted in his opening remarks. Click here to see a video of the day. Rebecca Breslin, who initiated the research project, Catherine Beck and Debbie Oliver gave a presentation about SCAD, symptoms and stories from patients. As many people are misdiagnosed the presentation also covered the need for research and awareness. Rebecca Breslin (pictured at the podium) outlined how the research began following a discussion with Dr David Adlam, who is now leading the research. 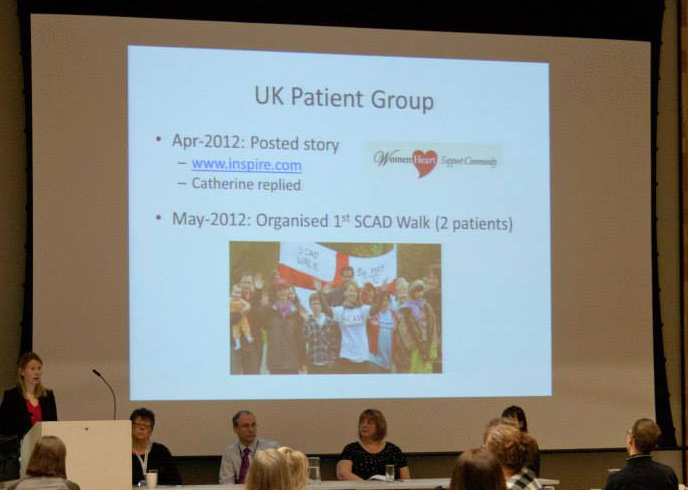 Catherine discussed the isolation many SCAD patients feel after diagnosis as many doctors and nurses know little about the condition and information is sparse. Debbie talked about the ‘typical’ SCAD patient and about her experience with SCAD. 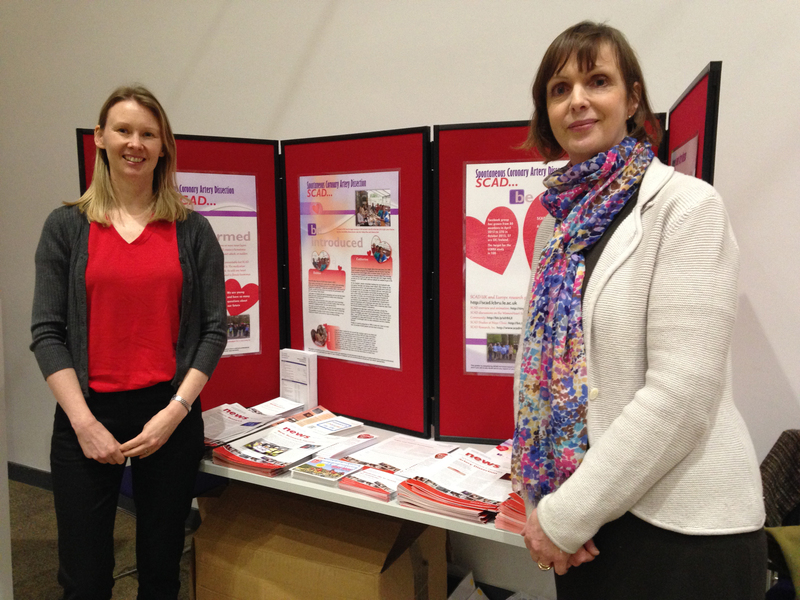 The LCBRU stand at the open day included leaflets and posters designed by some of the SCAD patient group and there was a lot of interest in the condition from the public who attended the day. Other SCAD patients attended the open day and, for some, it was their first time meeting another SCAD survivor. Click here to read more about the open day.